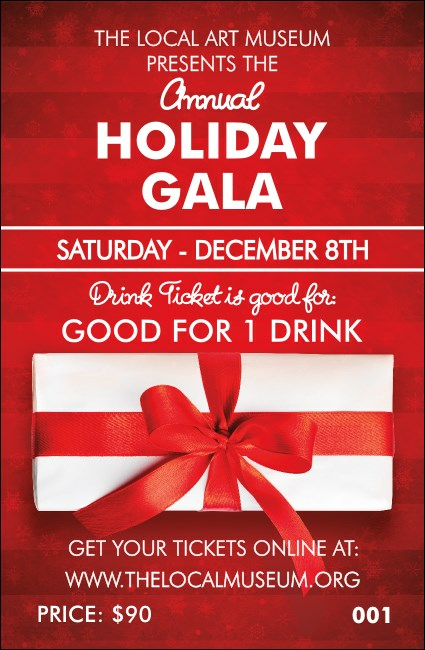 Wrap your guests in the comfort of a delicious seasonal beverage when you give them Holiday Gift Drink Tickets at your Christmas celebration. Each ticket template is designed to look just like a present with an elegant background decorated in bright red wrapping paper and a white gift box tied with a big red ribbon in the center. "Yule" always find the right ticket at TicketRiver.com.au!